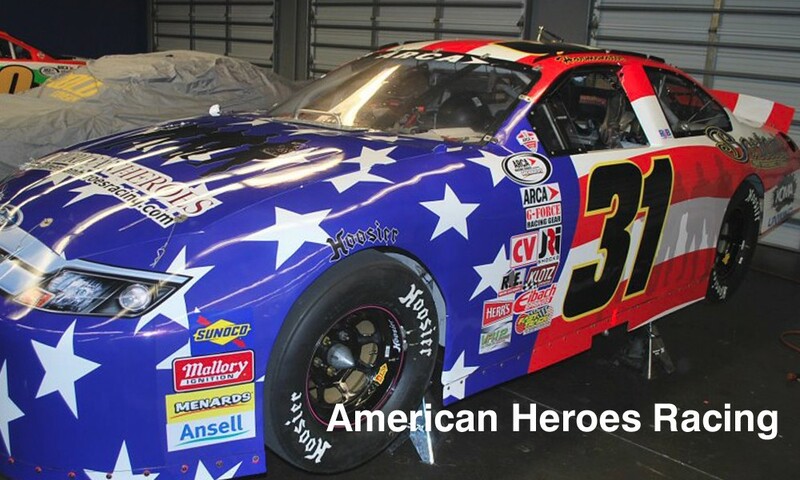 The American Heroes Nationwide Car has arrived at Daytona. Man-made lake inside Daytona International Speedway, used for powerboat racing. The lake was formed as the soil was removed to build the banking for the racetrack. 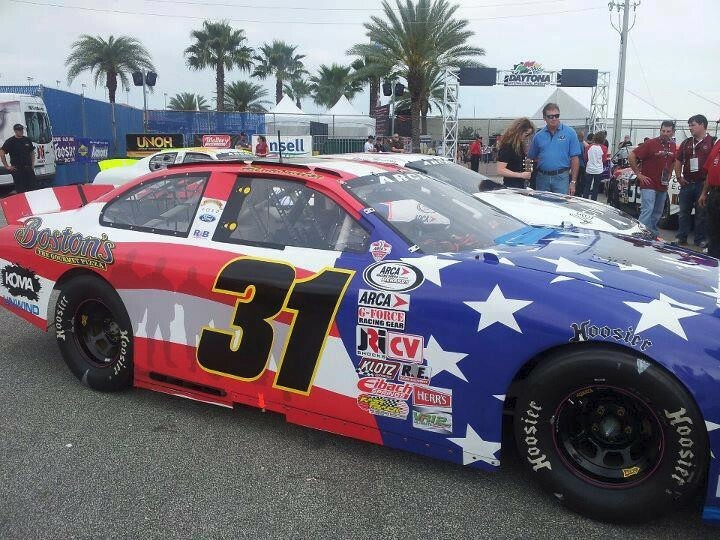 This past week, American Heroes and Canadian Heroes arrived at Daytona. Once again we came with in with our Canadian Flag waving showing our patriotism. 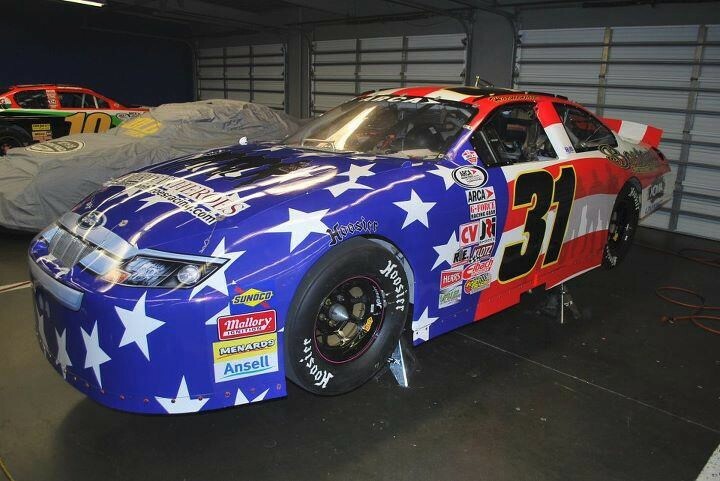 Our first race in the “00” green Arca car, we started in 27th place. We kept creeping our way up and actually made it all the way to 2nd place. Unfortunately even thought the team put up a great fight we finished 25th. It was a great showing for us and like always it doesn’t matter if we win or lose – but for us it’s showing our colours and support for our men and woman who have lost their lives for us and for those who continue to fight. We will continue to bring you updates as the days go on from Daytona! 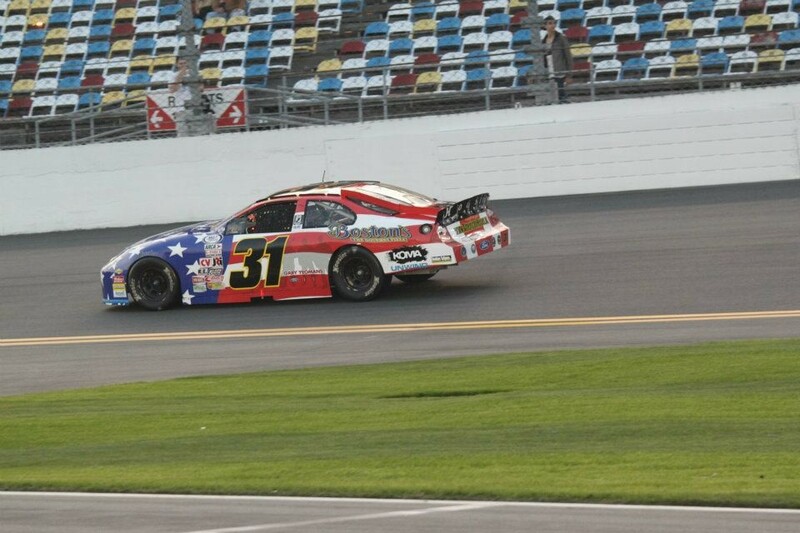 In other great news, Daytona was a launching pad for our sister team American Heroes Racing. American Heroes was created with the same concept as Canadian Heroes, which is to raise awareness and support for our American Soldiers & families and to serve as a tribute to all those that have served in the US Military past, present & future. If we get rained out today we will qualify based on points, and that would put us starting in 7th position.